The mineral in the above pictures is calcite, a common mineral in earth’s crust that is the main component of the sedimentary rock limestone. The stack of samples (top) exhibit a physical characteristic known as cleavage. The cleavage of calcite causes it to break into a rhombus-shape (see picture). Cleavage is the tendency of a crystalline substance, such as a mineral, to break along parallel planes that reflect the internal arrangement of the atoms in the crystal. All crystals, by definition, have a uniform atomic arrangement. 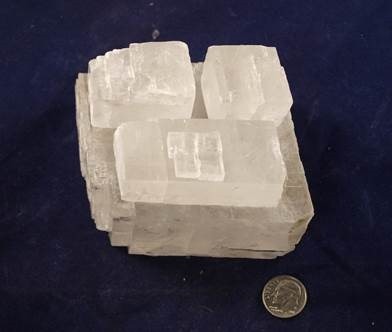 To illustrate this property, I’ve included a second picture (bottom), borrowed from Dr. Cathy Sutton, that shows an extremely magnified calcite crystal. The repeating rhombus-shapes in the picture are individual calcite molecules. Basically, cleavage is the outward expression of the internal structure of a mineral. The samples on the left were collected from Midwest Lime Quarry, Batesville, Arkansas. 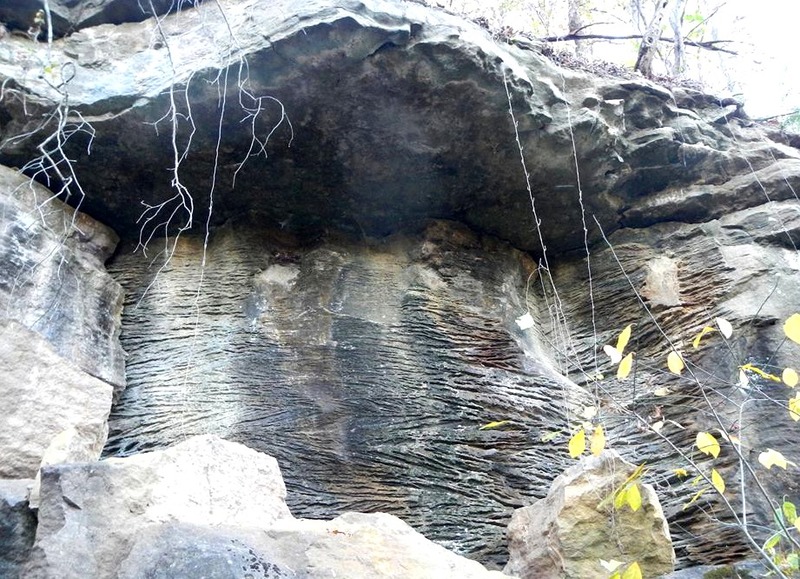 This entry was posted in #geoblog, GeoPic of the Week and tagged Arkansas, Calcite, crystallography, Crystals, Geology, limestone, Magnet Cove, mineralogy, minerals on February 25, 2019 by argeology. Even though they might look like it, those crystals in the picture above didn’t come out of a dog’s mouth. They are crystals of dogtooth calcite. Calcite (CaCO3) is the primary mineral that makes up limestone. It occurs in several crystal shapes. The two most commonly found in Arkansas are 6 sided rhombohedrons and the scalenohedral shape you see above. 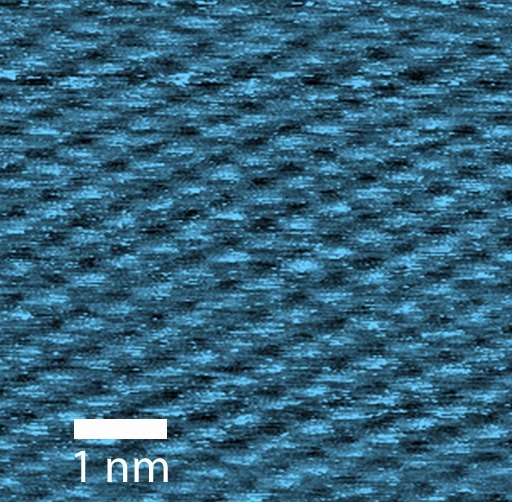 When it forms in this scalenohedral crystal structure it is called “dogtooth spar”. Calcite is a very common mineral, but this particular crystal form of the mineral is typically only found in Arkansas in conjunction with the minerals sphalerite (zinc ore) and galena (lead ore) in the lead and zinc districts. Calcite is also a polymorph, like the mineral brookite from a previous geo-pic. This means calcite has “sister” minerals with the same chemical composition, but differing crystal structures. 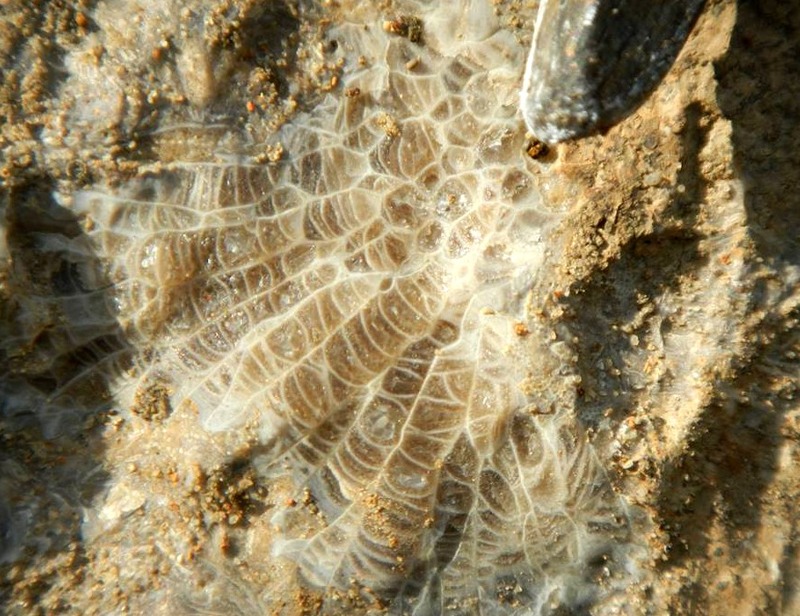 The three polymorphs of CaCO3 are: calcite, aragonite, and vaterite. This entry was posted in #geoblog, GeoPic of the Week and tagged Arkansas, Calcite, Crystal, dog days, dogtooth, Geology, Geology pictures, mineralogy, minerals on July 27, 2017 by argeology.